Is Xian Lim gearing up for a singing career? Xian Lim puts up an online video channel for his fans. 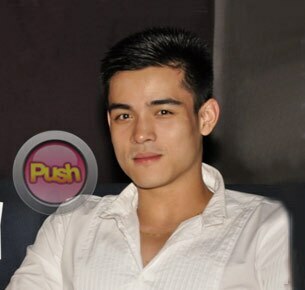 While Xian spent most of his childhood in the US, he can speak fluent Tagalog. He only came home to the Philippines three years ago to give showbiz a try. He credits his mother for teaching him to play the piano and encouraging him to learn to play other instruments. On his YouTube channel, Xian has renditions of a few popular songs like “Replay,” “I’m Yours,” and “Officially Missing You.” Some of the current hits he likes at the moment include songs of Bruno Mars, The Script, Jason Mraz, and other local songs. Fans can follow him on Twitter <@ XianLimm> for updates.